Any designer that names his outfits after some of my favourite songs ('London Calling' and 'Anarchy In The Uk') is automatically in my good books. 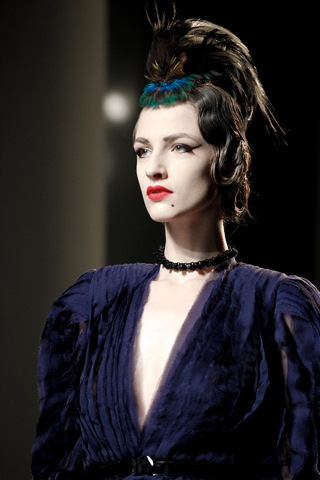 Jean Paul Gaultier has designed a phenomenal collection to end Couture Week. 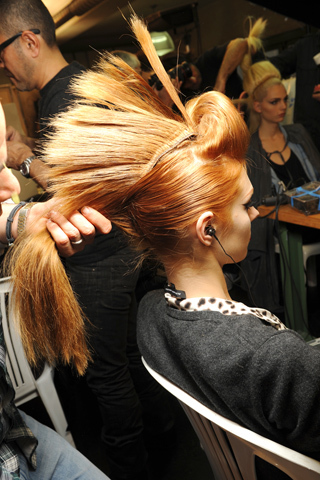 The typical punk mohawks, studs, chains and dog collars were seen throughout the show, but they were mixed with a burlesque showgirl and 1930s chic theme. Gaultier seems to have taken a trip through the 20th century, and incorporated some of the most influential style staples of certain decades. I, personally do the same. I take bits from my favourite eras (40s-80s), and put them together to create fresh retro looks. 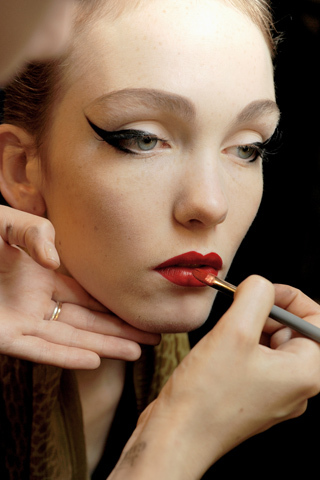 Couture week has been an amazing week in the world of fashion. The collections I've awed over have amazed me. There's not one collection I disliked. I swear! 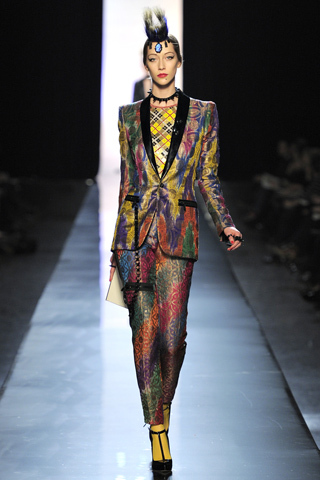 Dior, Elie Saab and Jean Paul Gaultier have come out on top in my opinion. Each of the designers taking risks and plunging into the deep-end with their fabulous collections. 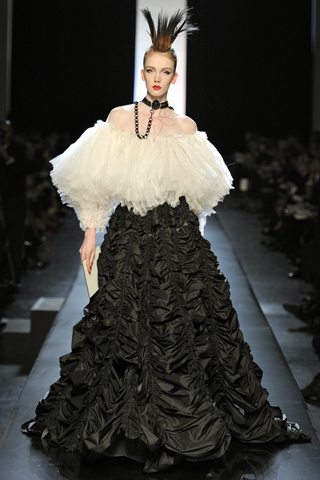 What was your favourite collection of Semaine de la Couture?